Hello! Today I'm back with a quick look at my one and only Enchanted Polish. When I first started getting into indie polishes, Enchanted seemed to be a very popular brand. However, they have always seemed to be on the pricier side (and also appear to be fairly hard to get hold of). Due to this I've never purchased any directly, but did grab one in a destash a while back. Read on for my swatch of 'June 2015'. 'June 2015' is a pink holographic. I've seen this described as 'watermelon pink', which I think suits it perfectly! It has a smooth and easy to apply formula, and good opacity. I did need a second coat to fully cover my nail line, although I think you could probably get away with one thicker coat on shorter nails. Below is two coats with topcoat. What do you think? This is definitely my kind of colour! I can't resist a good pink polish, and this does seem to be a more unique shade compared to a lot of pink holographics I've seen recently. I was also super impressed by the formula. 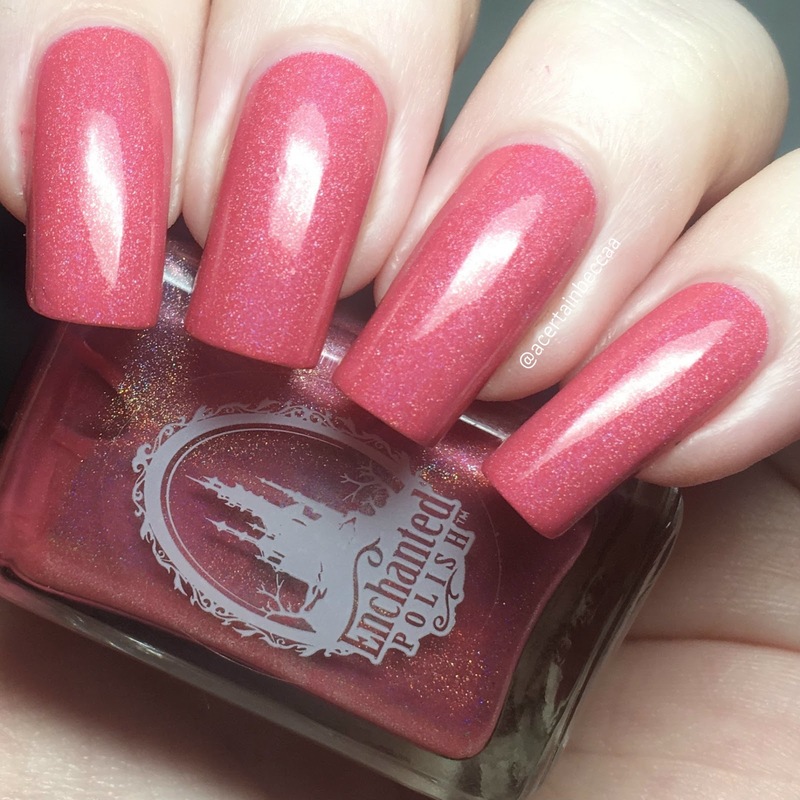 I think I'm going to have to keep my eye out for more Enchanted Polish destashes.